When organising an important corporate event, such as an AGM, fundraising Ball or networking dinner, there are many different elements to consider. So many diverse threads need to be pulled together to make the event a success – catering, entertainment, and venue, among others – that the importance of lighting is sometimes ignored. 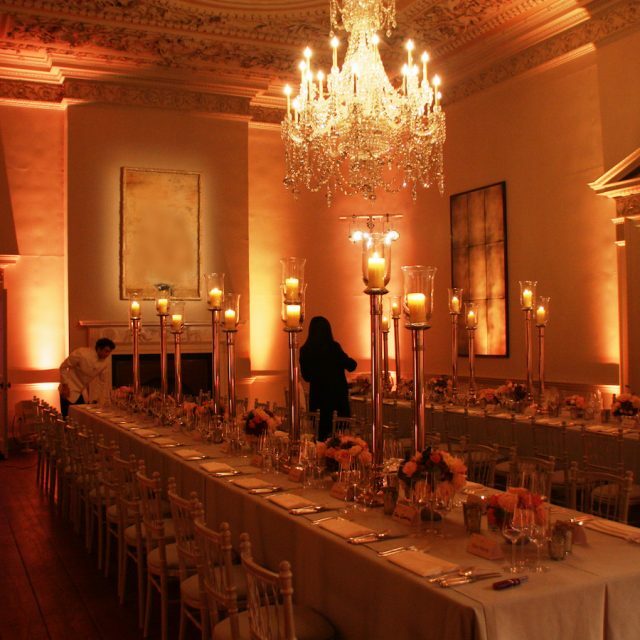 However, lighting is one of the best ways of adding and attaining the right ambiance at an instant. Battery powered LED lighting is a cost effective and easy means of creating the right atmosphere, without the hassle of having to install a complex lighting infrastructure. To create the right ambience for your event there are many different types of battery-powered LED lighting available, including LED curtain lights and LED fairy lights. Different colours, hues and shades can be chosen to selectively illuminate different areas and to variate the atmosphere in different areas. For instance, you might like gently twinkling strings of lights to add a soft touch to your outdoor areas, with coloured up lighting around the dance floor. The bar or dining area may benefit from crisp, white light to promote concentration and enable a steady flow of concentration. The options available to you are almost endless, depending on the nature of your event. Some LED arrays can also be adjusted to change colour when required, meaning you can use the same space for different functions during the event. A common example of this is a dining room that is converted into a dance floor after dinner is finished. LED lights give you the flexibility to set an appropriate lighting tone while your guests are eating, and then change it when the party starts. Battery-powered LED lights can achieve all these effects, and have distinct advantages over traditional lighting in terms of ease of access and set-up time. An LED lighting array can be set up, adjusted or put away in a matter of minutes, minimising the disruption to your guests and ensuring your corporate event runs smoothly. Nothing beats battery-powered LED lighting in terms of convenience. Traditional lighting needs to be plugged into a wall outlet when in use. Not so with battery powered lighting: this gives you the flexibility to decorate your event space in the way you want it. They also have the advantage of not leaving any leads or extension cords hanging around, which are unsightly and can cause a trip hazard if you are not careful. When lighting a large event, energy costs can quickly mount up, especially when relying on traditional lighting. Battery powered LED lights are remarkably energy efficient, reducing the drain on your electricity supply and significantly reducing your overall events cost. Moreover, due to the efficiency of LED lighting, strings of lights can be left in situ for extended periods without risk of malfunction, fire or burst bulbs. There is none of the heat and noise that is sometimes associated with traditional lighting when it has been left on a little too long. This makes battery powered LEDs a perfect choice for multi-day events and extended corporate functions. Battery powered LED lighting is becoming an increasingly popular choice for corporate events, and it is easy to see why. They can quickly be adapted to match any architectural or events space, and give you extensive customisation options. LED lights are cost effective to run and perform admirably for long periods without any maintenance requirements. Furthermore, battery operation cuts out mains electricity costs and reduces the space you need to accommodate extension leads, power outlets and bundles of wires.